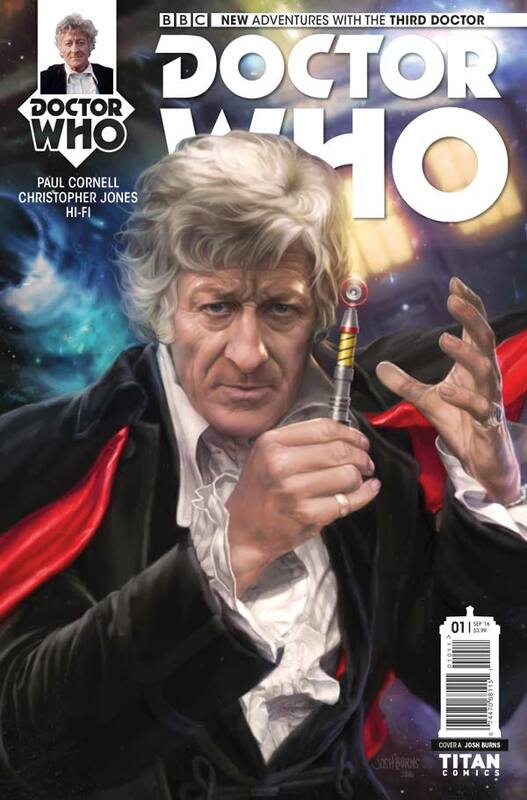 The Fellowship has obtained a first look at DOCTOR WHO: THE THIRD DOCTOR #1 from Titan Comics. The issue, which hits stores September 14th, is written by Paul Cornell with art by Christopher Jones and colors by Hi-Fi. The cover is by Josh Burns, with a photo variant, sketch variant, and variants by Simon Myers, Paul McCaffrey, Boo Cook (Forbidden Planet/Jetpack), and Andy Walker (Diamond UK). 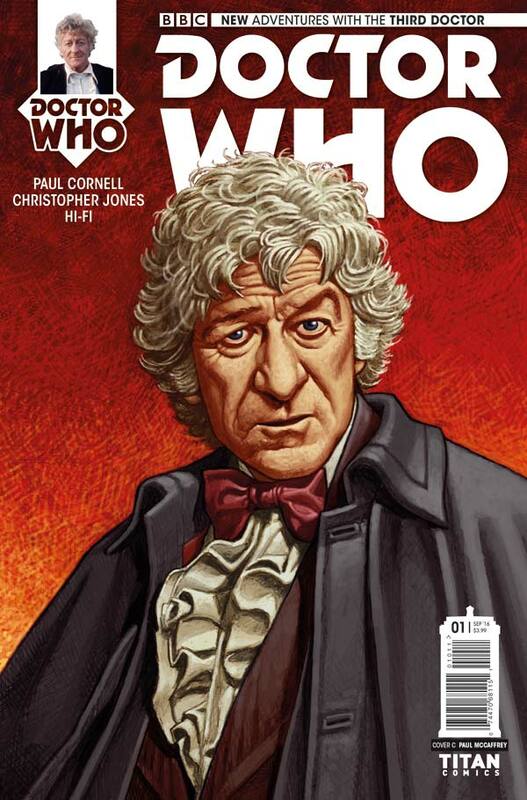 Paul Cornell returns to Doctor Who comics with THE HERALDS OF DESTRUCTION! 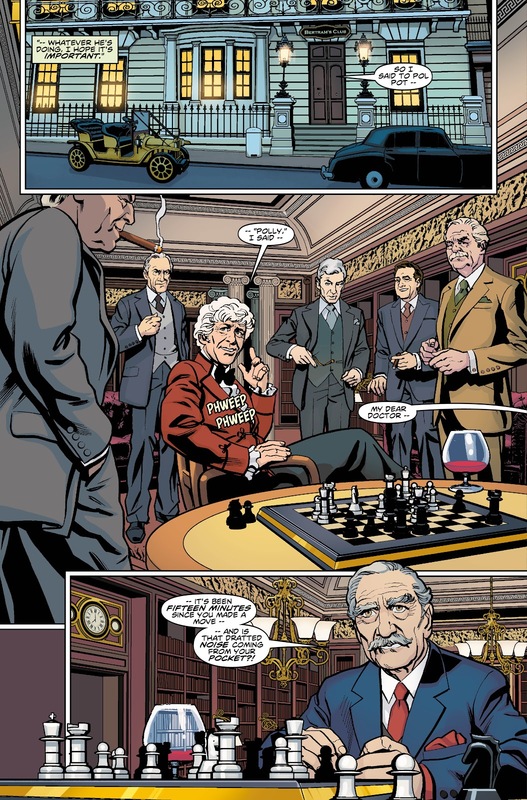 When something enormous crashes into Bedfordshire, the Doctor, Jo Grant, and the forces of UNIT under Brigadier Lethbridge-Stewart mobilise immediately – and find themselves in the middle of a pitched battle against a terrifying invader... But the shocking face that awaits their return to base may tip the whole world off its axis! 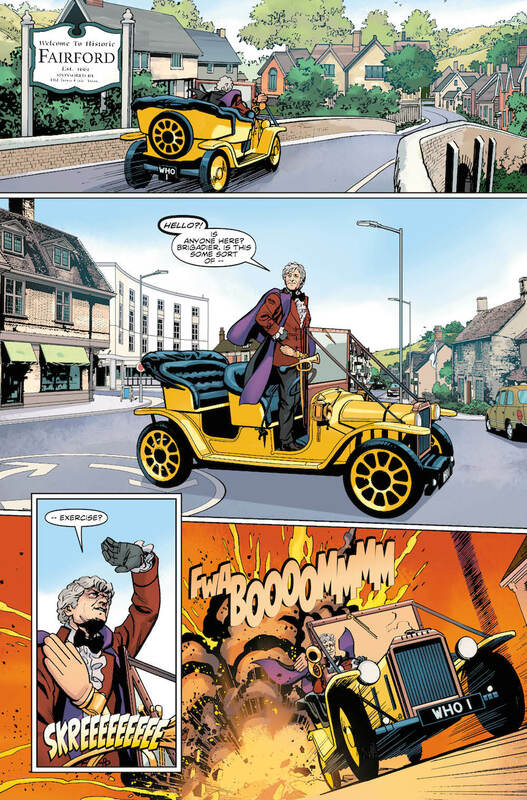 It's classic Third Doctor action as you've never seen it before!